Well my friends, here at Cargo Literary, the work just keeps getting better and better. Thanks to Michael Mira, whose work, “Norte” graces our Issue 11 cover, and read more about his work here: Norte. I have been thrilled to put this issue together, because the words and stories and images have been so lovely to work with. Two new additions to the Cargo roster: we are pleased to present an interview with poet Sonia Saikalay about her new book, A Samurai’s Pink House and furthermore – our first translation! Read Tim DeMarco’s edition of Thorsten Nagelschmidt’s narrative essay “I Walk Alone” here. In Poetry, we are reaching back to 1967 not once but twice, in Ten Things I see from the Division Street Bus by John Gowkski and Crossing the Atlantic by Pulp Boat by memoirist and past PEI Poet Laureate, Dianne Morrow. Speaking of Poets Laureate, we also published George Eliot Clarke last month, who is Canada’s national poet laureate, and his intense re-telling of the book of Judith, set to a modern beat. Read Judith. In creative nonfiction, we have new perspectives and a breath of fresh air for you in Adrienne Lindholm’s “When you Go Into the Country”, as well as the incredible Arctic depth of field in “Icescapes in the Southern Ocean” by Shara Johnson of SKJ Travel. We have tales of change in “Rooting in Snow” by Bhaswati Ghosh, editor of Café Dissensus, and “When Home is Elsewhere” by Martha Anne Toll. We are also happy to bring you “The Pipes of Curepipe” by Inderjeet Mani and the warmth of an evening stroll by Andrew Albritton, in “Midnight in Chinatown”. Finally, we leave you with Richard Luftig’s Snow Talk, not that we expect it soon, but there is an inevitable crispness in the air. 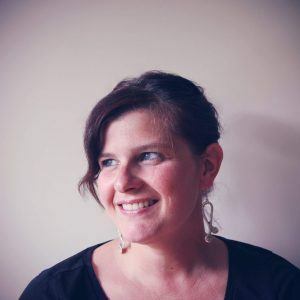 Mo Duffy Cobb is a freelance travel and culture writer who has an MFA from the Vermont College of Fine Arts in Creative Nonfiction. She has been published in The Rumpus, Literary Mama, Damselfly Press, and Understorey Magazine, among others. She is the Founder and Editor of Cargo Literary, and you can find her own travel memoir here: Unpacked: from PEI to Palawan (Pottersfield Press, 2017). Check out the book trailer on Youtube: Unpacked. Mo lives in the sunshine of the Atlantic with her own cargo: a husband and three blond beauties, aged eleven, four, & one. | moduffycobb.com.